The big news yesterday was that Twitter announced the launch of their new Twitter design. The new design is aimed at making it easier to use and easier to find and discover things within the ecosystem. My favorite parts of the announcement is a new TweetDeck for Chrome and Mac OS App Store plus the new app and finally the embeddable tweets. On the search side, Greg Sterling reported that the search was improve but said, "although no one could tell me specifically what they were." 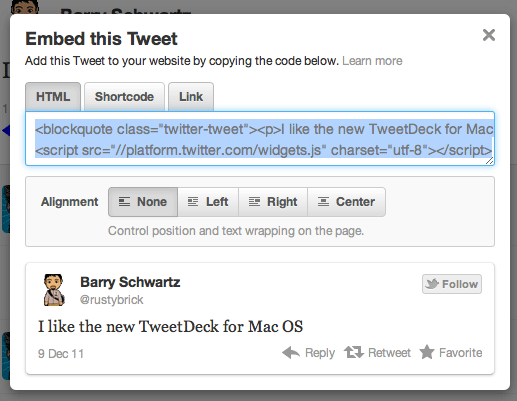 To see more details on the new features, designs and ability to discover new content, see fly.twitter.com. 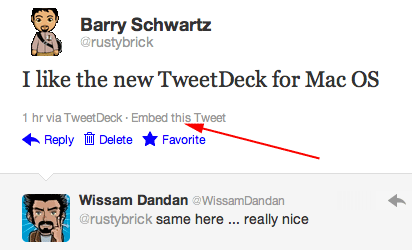 To get it yourself, just update your mobile app and Twitter should give you the new features on Twitter.com soon after. If you are a brand, you probably want to read this.